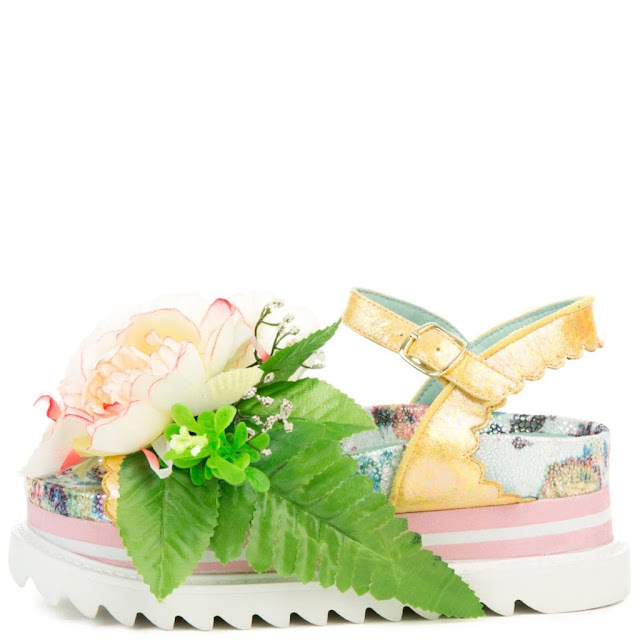 Today's So Shoe Me is the Hera Sandal by Irregular Choice, $138, available at Tilted Sole. Give your festival fashion an upgrade with these avante garde sandals by Irregular Choice. These flower fantasy flatforms will add a signature step to your everyday cutoffs and crop tops this summer. The flatform sole adds decadent details like prints and stripes, plus it adds a flattering lift that will lengthen your frame and give legs for days. The oversized flowers and foliage at the front add a style statement that will be remembered well past your weekend festival. Pair these signature sandals with a delicate bikini top and super fun accessories for the perfect carefree festival look. So Shoe Me a pair of statement making sandals that will add a funky femme finish to my everyday summer style.